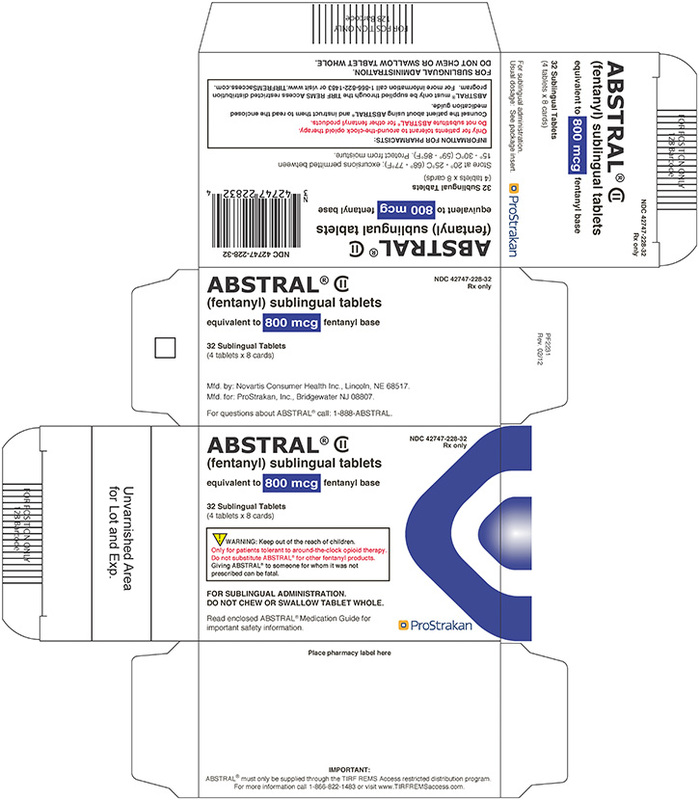 • - When dispensing, do not substitute an ABSTRAL prescription for other fentanyl products. Because of the risk for misuse, abuse, addiction, and overdose, ABSTRAL is available only through a restricted program, required by the Food and Drug Administration, called a Risk Evaluation and Mitigation Strategy (REMS). Under the TIRF (Transmucosal Immediate Release Fentanyl) REMS Access program, outpatients, healthcare professionals who prescribe to outpatients, pharmacies, and distributors must enroll in the program [see Warnings and Precautions (5.10)]. Further information is available at www.TIRFREMSAccess.com or by calling1-866-822-1483. ABSTRAL may be dispensed only to patients enrolled in the TIRF REMS Access program. ABSTRAL (fentanyl) sublingual tablets are indicated for the management of breakthrough pain in cancer patients 18 years of age and older who are already receiving and who are tolerant to opioid therapy for their underlying persistent cancer pain. Patients considered opioid tolerant are those who are taking around-the-clock medicine consisting of at least 60 mg of oral morphine daily, or at least 25 mcg of transdermal fentanyl/hour, or at least 30 mg of oral oxycodone daily, or at least 8 mg of oral hydromorphone daily or at least 25 mg oral oxymorphone daily, or an equianalgesic dose of another opioid medication daily for a week or longer. 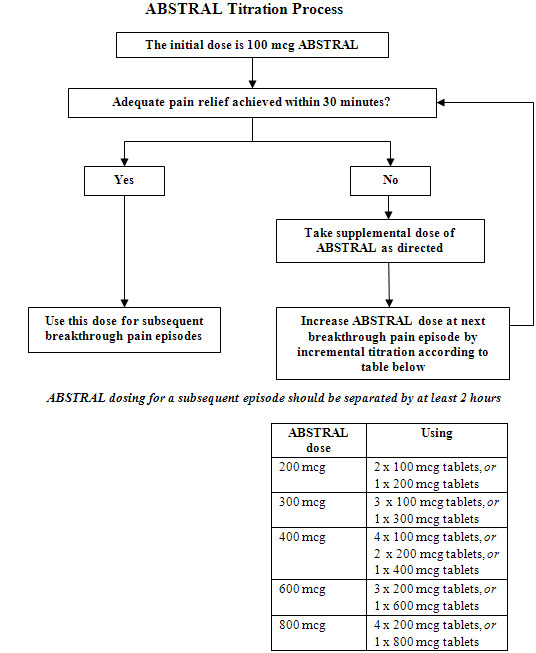 Patients must remain on around-the-clock opioids when taking ABSTRAL. 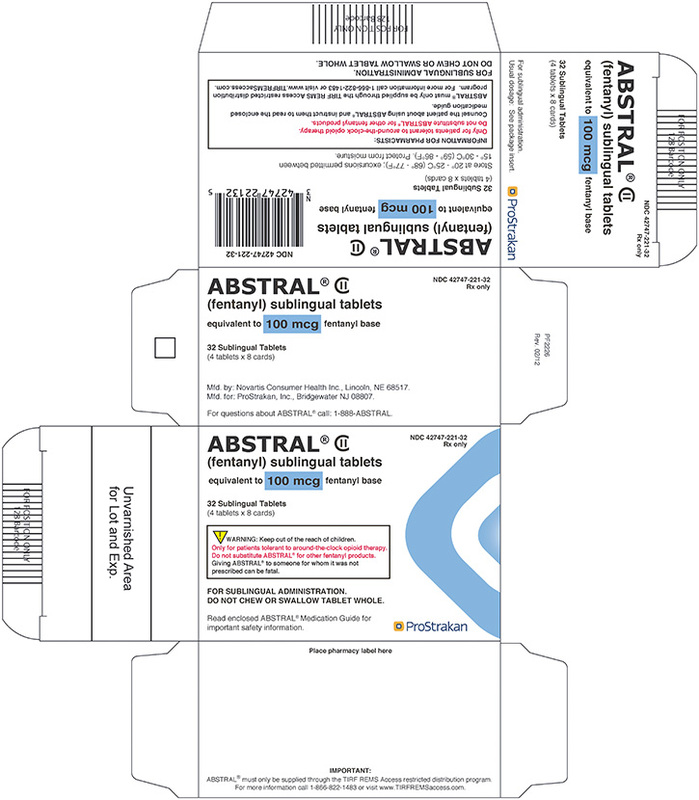 As a part of the TIRF REMS Access program, ABSTRAL may be dispensed only to outpatients enrolled in the program [see Warnings and Precautions (5.10)]. For inpatient administration of ABSTRAL (e.g., hospitals, hospices, and long-term care facilities that prescribe for inpatient use), patient and prescriber enrollment is not required. Healthcare professionals who prescribe ABSTRAL on an outpatient basis must enrol in the TIRF REMS Access program and comply with the requirements of the REMS to ensure safe use of ABSTRAL [See Warnings and Precautions (5.10)]. Patients and their caregivers must be instructed that ABSTRAL contains a medicine in an amount which can be fatal to a child. 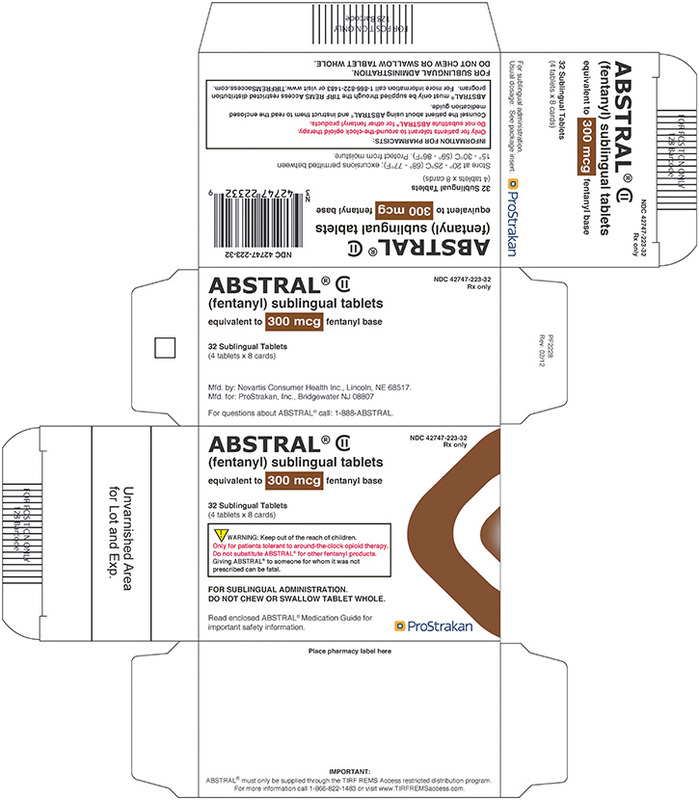 Even though ABSTRAL is provided in child-resistant packaging, patients and their caregivers must be instructed to keep tablets out of the reach of children. [see How Supplied/Storage and Handling (16.1, 16.2), and Patient Counseling Information (17.1, 17.2)]. Because of the risk for misuse, abuse, addiction, and overdose [see Drug Abuse and Dependence (9)], ABSTRAL is available only through a restricted program called the TIRF REMS Access program. Under the TIRF REMS Access program, outpatients, healthcare professionals who prescribe to outpatients, pharmacies, and distributors must enroll in the program. For inpatient administration (e.g., hospitals, hospices, and long-term care facilities that prescribe for inpatient use) of ABSTRAL, patient and prescriber enrollment is not required. 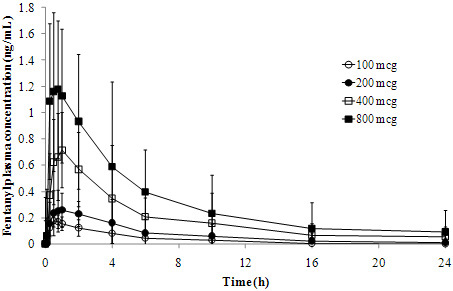 Table 2 lists, by successful dose, adverse reactions with an overall frequency of â‰¥ 5% within the total population that occurred after a successful dose had been determined. The frequencies listed below represent adverse reactions that occurred in â‰¥ 1% of patients from two clinical trials who experienced that reaction while receiving ABSTRAL. Reactions are classified by system organ class. The precise mechanism of the analgesic action is unknown although fentanyl is known to be a Î¼-opioid receptor agonist. 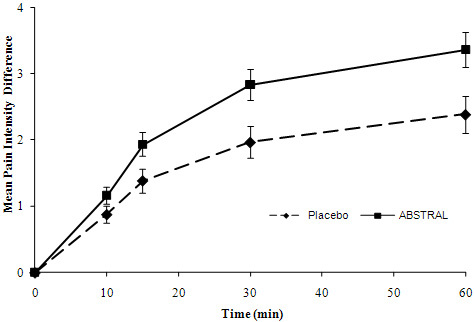 Specific CNS opioid receptors for endogenous compounds with opioid-like activity have been identified throughout the brain and spinal cord and play a role in the analgesic effects of this drug. The amount of fentanyl contained in ABSTRAL can be fatal to a child, individual for whom it is not prescribed or non-opioid tolerant adult. Patients and their caregivers must be instructed to keep ABSTRAL out of the reach of children [see Boxed Warning - Warnings: Potential For Abuse and Importance Of Proper Patient Selection and Warnings And Precautions (5), and Patient Counseling Information (17.1)]. Instruct patients not to take Abstral for acute pain, postoperative pain, pain from injuries, headache, migraine, or any other short-term pain, even if they have taken other opioid analgesics for these conditions. Copyright © 2012, ProStrakan Inc. All rights reserved.